The Latin Alternative Music Conference (LAMC) has announced a search for U.S.-based Latin acts for consideration on an exclusive “Local Bands We Love” compilation. The compilation will be sponsored by Jack Daniel’s, long a fixture in the music industry and the LAMC presenting sponsor since 2009. Eligible bands may submit their music for consideration at http://LatinAlternative.com until January 31st. Following the nationwide call for entries, a panel of industry experts will select approximately 12 participants to be featured on the compilation album. 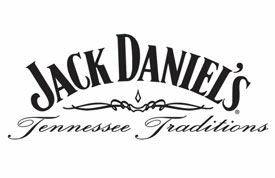 The album will be distributed by Jack Daniel’s throughout 2011 at various promotional events. In addition, “Local Bands We Love” applicants will also be considered for the Artist Discovery Contest to be awarded during the LAMC in New York City in July 2011. For official contest rules, please visit http://LatinAlternative.com. No purchase is necessary to apply to be a party of “Local Bands we Love”. All entrants must be at least 21 years of age. For 11 years, the Latin Alternative Music Conference (LAMC) has served as one of the biggest events in the world for cutting-edge Latin music. With past conferences averaging 1,250 music industry attendees and 25,000 concert fans each year, this five-day New York City-based conference provides networking opportunities with leading artists, promoters, labels, journalists, marketers, managers, publishers and programmers. Highly relevant and timely panels include many of the music industry's most prominent decision-makers. Multiple free concerts are staged across New York at major venues like Central Park and Prospect Park as well as artist showcases at Bowery Ballroom, El Museo del Barrio, Mercury Lounge, SOB’s and other venues. Officially registered by the U.S. government in 1866, the Jack Daniel Distillery, Lem Motlow, proprietor, is the oldest registered distillery in the United States and is on the National Register of Historic Places. Based in Lynchburg, Tenn., the Jack Daniel Distillery is the maker of world-famous Jack Daniel's Old No. 7 Tennessee Whiskey, Gentleman Jack Rare Tennessee Whiskey, Jack Daniel's Single Barrel Tennessee Whiskey and Jack Daniel's Country Cocktails. Leave the show to the band. Please drink responsibly.